It’s been my privilege over the years to profile different artisans for publications. All have been exceptional and creative people, from wood carvers and bamboo rod builders to painters, canoe and kayak builders, fly tiers and decoy carvers. I’ve enjoyed telling their personal stories and learning of their varied inspirations, the defining moments in their lives that spurs them to push further and give expression to something innate. 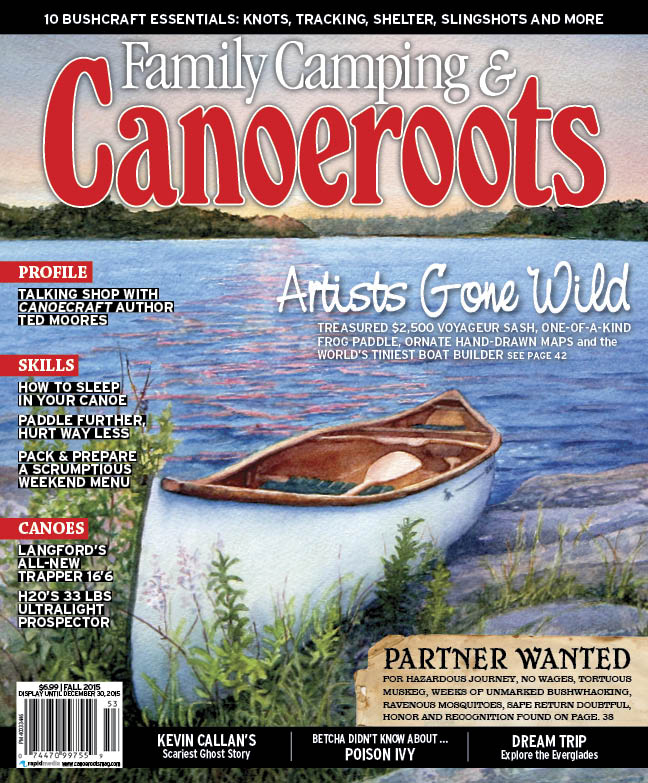 Earlier this year, I was asked to contribute to a feature package in the August 2015 issue of Canoeroots Magazine, published by Rapid Media. It’s called “Artist’s Gone Wild. 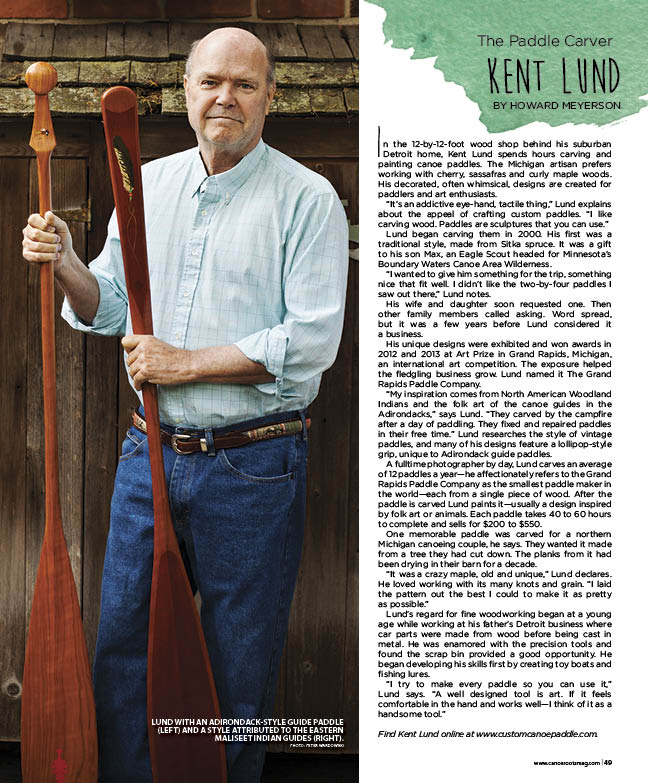 ” The assignment involved finding artisans whose work and life had been directly influenced by canoes or canoeing, not kayaks nor stand-up paddle boards. Just canoes. It proved a peach of an assignment that combined two areas I really enjoy, art and life in canoes. The feature package includes six short profiles of remarkable artists. They all are worth getting to know. Three of those follow (my contribution). 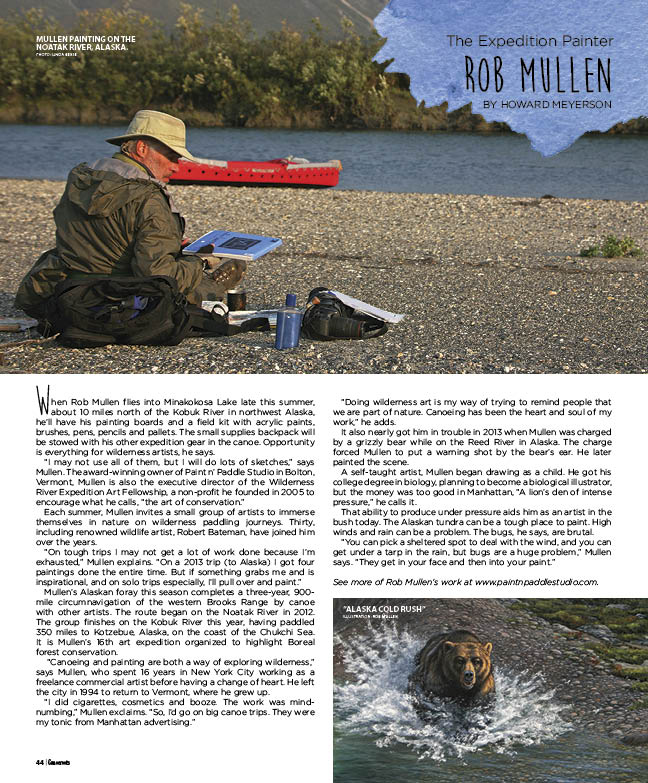 Enjoy Rob Mullen’s story, an expedition painter who just this week finished at 350 mile canoe trip in Alaska; Chris Pearson’s inspirations for building spectacular tiny, scale model canoes and dioramas; and Kent Lund’s beautiful handcrafted paddles, all inspired by history and sometimes whimsy. You can find the rest – and more – on the magazine’s website. The digital version of the issue requires providing your email. It is also on sale at magazine stands. 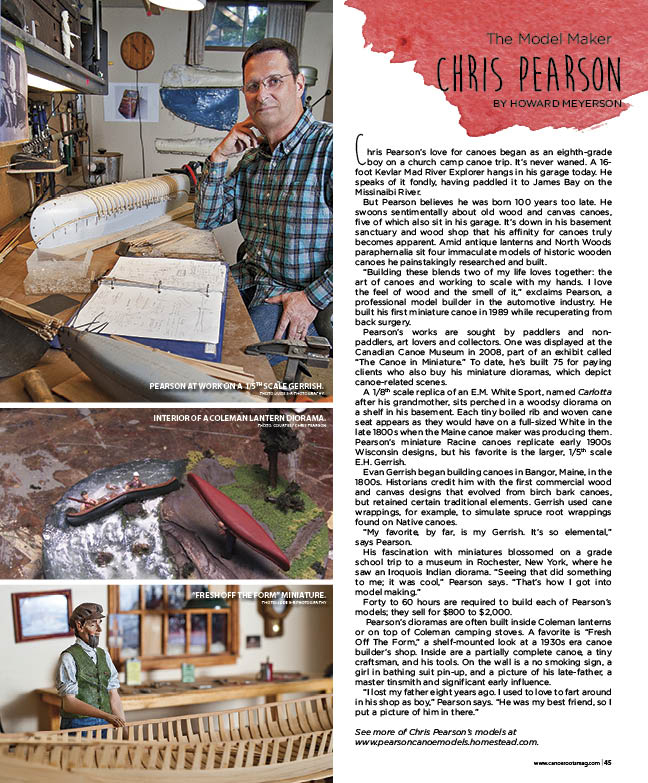 This entry was posted in Uncategorized and tagged Alaska, Artisans, Canoeing, Canoeroots Magazine, Canoes, Chris Pearson, Kent Lund, Paddles, Paddling, Rob Mullen. Bookmark the permalink.